In this section you will learn the more advanced options for creating centerline routing and branch creations. The majority of these functions are options that may be chosen from the Sketch Piping form. Distance and Direction moves the active place point a specified or calculated distance in a specified direction or along a defined angle. Select the Sketch option from the Placement palette activated by the Piping pull-down menu. Extend/Shorten Pipe Run lengthens or shortens the next segment of pipe run by a specified distance predefined. Select the Sketch option from the Placement palette activated by the Piping pull-down menu. Create Bypass creates a bypass at the active segment point or at an existing segment end point. Select the Sketch option from the Placement palette activated by the Piping pull-down menu. Intersect to Branch extends the active segment to its intersection with a specified segment pipe run. Select the Sketch option from the Placement palette activated by the Piping pull-down menu. Intersect Sloped Pipe Run intersects the piping segment being created or extended with an arbitrarily skewed pipe run of an existing piping segment that is sloped in the vertical plane. Select the Sketch option from the Placement palette activated by the Piping pull-down menu. Intersect by Angles intersects two existing segment pipe runs at a specified angle. Select the Sketch option from the Placement palette activated by the Piping pull-down menu. Intersect Plane sketches a segment pipe run to the point of intersection between the piping segment and a planar element in the design or reference file. Select the Sketch option from the Placement palette activated by the Piping pull-down menu. Skewed Intersect connects the end points of two different piping segments. Select the Sketch option from the Placement palette activated by the Piping pull-down menu. Branch on Pipe Run creates a branch along a segment pipe run (not at a vertex or end point). Select the Sketch option from the Placement palette activated by the Piping pull-down menu. Create Branch using the Sketch command shows you how to create a branch at an end point or at an embedded vertex on a piping segment. Select Placement from the Piping pull-down menu. This command moves the active place point a specified or calculated distance in a specified direction or along a defined angle, and may be used to specify any vertex or endpoint. Refer to Distance and Direction for reference information on this command. Complete the following three exercises on the Distance and Direction option. The existing piping segment A-B-C is to be extended to a new configuration A-B-C-D-E-F and you are attached to vertex C.
1. Select the Distance and Direction option from the Sketch Piping Segment form. The Distance and Direction form displays. 2. Select the Horizontal Angle option and key in 300. 3. Select the Vertical Angle option and key in 0. 4. Select the Move North/South option and key in 2'0" (610 mm). The system calculates the distance. 6. Now continue sketching to finish the piping segment D-E-F. The existing piping segment A-B-C-D-E is to be modified to a new configuration of A-B-C-D-E-E' and you are attached to vertex E.
1. Select the Distance and Direction option. 2. Select the Active Direction option. 5. Continue in sketch to finish the piping segment E' and beyond. The existing piping segment A-B-C is to be extended to a new configuration of A-B-C-D-E-F and you are attached to vertex C.
2. Select the S/E option. 3. Select the Distance option and key in 4'6" (1372 mm). 5. Continue with sketch to finish the rest of the piping segment. This option lengthens or shortens the next segment pipe run to be specified by a predefinable distance. See Extend or Shorten Pipe Run for reference information on this option. The existing piping segment A-B-C is to be extended to the new configuration A-B-C-D-E and you are attached to vertex C.
1. Select the Extend or Shorten Pipe Run option. 3. Select the Lengthen Next Run by: field and key in 3" (914 mm) for the shoe height. 4. Select the 1/2 Piping Outside Diameter option. 5. Identify a component or pipe or Confirm the active data. 6. Select the Insulation Thickness option. 7. Confirm the active data. 8. Confirm to confirm all the active data. 9. Select the Move to Point option. 10. Deactivate the Northing and Easting options. 11. Identify the top of steel at the correct elevation. 12. Accept the form with Confirm. 13. Continue sketching to finish the piping segment to vertex E.
This option creates a bypass at the active segment point or at an existing segment end point. It places all the segments necessary to define the centerline of the bypass. See Create Bypass for reference information on this option. The existing piping segment A-B-C is to be extended to the new configuration A-B-C-D-E-F and you are attached to vertex C.
1. Select the Create Bypass option. 2. Select Move East and key in 3'6" (1067 mm). 3. Move South and key in 1'3" (381 mm). 4. Select the Nominal Piping Diameter field and key in 4 (100). 6. Continue sketching from vertex D to finish the piping segment. This option extends the active segment to its intersection with a specified segment pipe run. See Intersect to Branch for reference information on this option. Join existing piping segment A-B-C and D-E together at point X. You are attached to vertex C.
1. Select the Intersect to Branch option. 2. Identify pipe run D-E.
3. The system computes alternative 1. Accept with <D> to accept, Reject to select another. 4. The system computes alternative 2. Accept with <D> to accept, Reject to select another. 5. The system computes alternative 3. Accept with <D> to accept, Reject to select another. The system continues to cycle through until you accept one of the alternatives. 6. Once you accept an alternative, the system automatically extends the segment and places a branch point at point X. 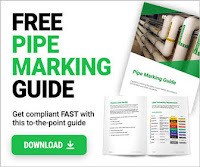 This option intersects the piping segment being created or extended with an arbitrarily skewed pipe run of an existing piping segment that is sloped in the vertical plane. The intersection with this sloped piping segment will be in the vertical plane at a user- specified angle. See Intersect Sloped Pipe Run for reference information on this option. Complete the following two exercises. Join together piping segments A-B-C and D-E at point X or Y. You are currently attached to vertex C.
Endpoint C is coplanar with segment D-E.
1. Select the Intersect Sloped Pipe Run option. 4. The system computes alternative 1. Accept with <D> to accept, Reject to select another. 5. The system computes alternative 2. Accept with <D> to accept, Reject to select another. 6. The system continues to cycle through until you accept one of the alternatives. 7. Once you accept an alternative, the system automatically extends the segment and places a branch point at point X or Y. Join piping segments A-B-C and D-E at point X. You are attached to vertex C.
3. Key in 30 for the angle. The system automatically extends the needed segments to point X and connects them. This option intersects two existing segment pipe runs at a specified angle. See Intersect by Angles for reference information on this option. Join piping segments A-B-C-D and E-F-G at a point along pipe run F-G. You are attached to vertex D.
1. Select the Intersect by Angles option. 2. Identify pipe run F-G on the G half of the pipe run. 3. Key in 35 for the angle. The system automatically shortens/extends segment F-G to point X and connects them. This option sketches a segment pipe run to the point of intersection between the piping segment and a planar element in the design file or reference file. See Intersect Plane for reference information on this option. There is no exercise for this command. This option connects the end points of two different piping segments. It displays alternative routings between the two existing segment pipe runs and enables you to select the desired configuration. See Skewed Intersection for reference information on this option. Join piping segments A-B-C and X-Y-Z. You are attached to vertex C.
1. Select the Skewed Intersection option. 2. Identify second end point, vertex X. 3. The system computes alternative 1. Accept with <D> to accept or Reject to select another. 4. The system computes alternative 2. Accept with <D> to accept or Reject to select another. 5. The system computes alternative 3. Accept with <D> to accept or Reject to select another. 6. The system computes alternative 4. Accept with <D> to accept or Reject to select another. 7. The system computes alternative 5. Accept with <D> to accept or Reject to select another. 8. The system computes alternative 6. Accept with <D> to accept or Reject to select another. 9. The system computes alternative 7. Accept with <D> to accept or Reject to select another. 10. The system continues to cycle through until you accept one of the alternatives. 11. Once you accept an alternative, the system automatically extends the segments and connects them. This option creates a branch along a segment pipe run (not at a vertex or end point). See Branch on Pipe Run for reference information on this option. Place a 4 (100 mm) NPD branch at the midpoint of pipe run B-C on existing piping segment A-B-C-D-E.
1. Select the Branch on Pipe Run option. 2. Identify pipe run B-C. The system highlights the segment pipe run. The system automatically places a branch point at point F.
4. Select the Active Segment Data area. 7. Continue using sketch to finish the piping segment F-G.
Place a branch point on pipe run B-C of existing piping segment A-B-C-D-E.
2. Identify pipe run B-C on the B half of the segment. 3. Key in 3'0" (914 mm) to specify the distance from the endpoint. 4. Continue sketching to finish segment F-G. The sketch command can be used to create a branch on an existing pipeline of a vertex or endpoint. This method is only valid for centerline piping segments, not populated pipelines (those which have had Automatic Placement run on them). The method for creating branches with the sketch command is shown below. See Sketch for reference information on this command. Place a branch point at embedded vertex B on piping segment A-B-C. The system automatically creates a branch point at vertex B. 2. Continue sketching to finish piping segment B-D.
Place a branch point at end point C on piping segment A-B-C.
2. Toggle Extend Piping Segment to Create Piping Segment. 3. Continue sketching to finish piping segment C-D.
5. Identify vertex C. The system knows that there is a branch point at point C.
6. Continue sketching to finish piping segment C-E.
7. Accept the form with Confirm. Place a branch point at end point C on piping segment A-B-C. You are attached to point C.
1. Select the Place and Start New Segment option. 2. Now continue sketching to finish piping segment C-E. The system automatically creates a branch point at vertex C.
5. Continue sketching to finish piping segment C-D. Complete all three labs using the commands you learned in this section. Sketch pipeline DOW0102-XIN-2C0032-N from equipment/nozzle 38E-103/N3 & N4 to equipment nozzle 38TW-102/N14 using the command learned in this and previous sections. Use Auto Placement to place pipe and components. Refer to figure below for detailed information. Sketch pipeline DOW0101-XIN-2C0032-N from equipment/nozzle 38E-105/N1 & N2 to equipment nozzle 38E-102/T1 using the command learned in this and previous sections. Use Auto Placement to place pipe and components. Refer to figure below for detailed information. Sketch pipeline DOW0103-XIN-2C0032-N from equipment/nozzle 38E-104/N1 & N2 to equipment nozzle 38E-101A/N4 using the command learned in this and previous sections. Use Auto Placement to place pipe and components. Refer to the figure below for detailed information.